Diabetes is here and now. Many are affected by it. There is no need to deny it. It is better to battle it head on. 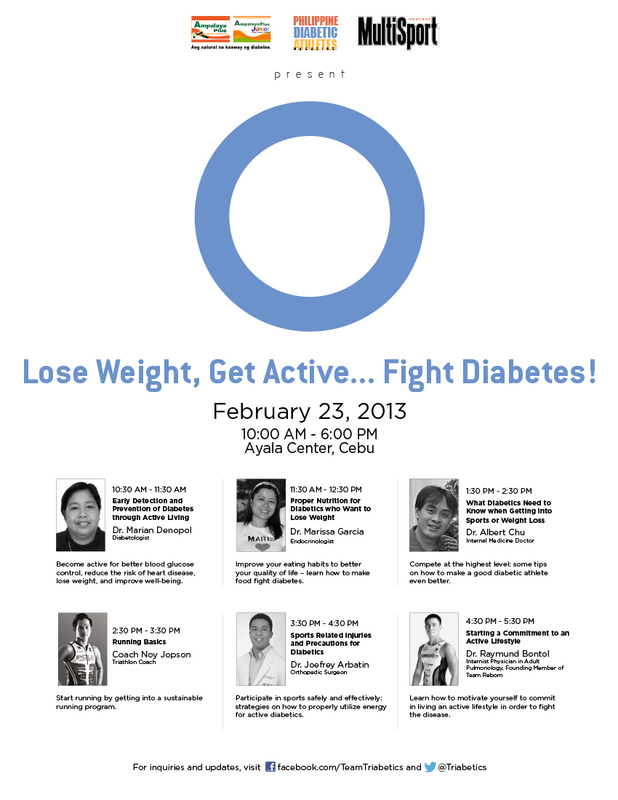 The Philippine Diabetic Athletes (PDAT), a non-stock, non-profit organization seeks to inspire, educate, and encourage Filipino diabetics to manage their disease through a healthy and active lifestyle with a series of events entitled "Lose Weight, Get Active... Fight Diabetes where they bring in notable doctors, nutritionists and coaches. On February 23, 2013, the second leg of this series will be at the Ayala Mall Activity Center from 10 AM to 5 PM. 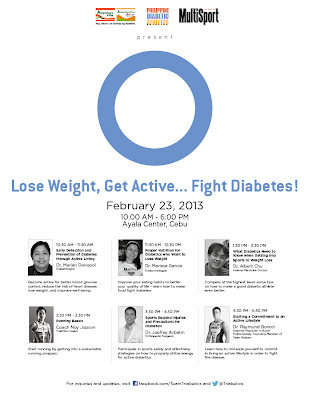 Diabetics, those at risk for diabetes, and their families are invited to take part in this event. Dr. Marian K. Denopol – Diabetologist. 11:30 a.m. - 12:30 a.m. Proper Nutrition for Diabetics who Want to Lose Weight. Dr. Marissa Garcia – Endocrinologist. 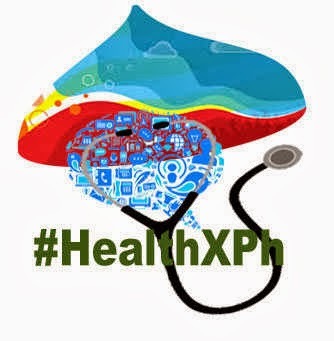 Dr. Albert L. Chu – Doctor for Internal Medicine – Endocrinology. Coach Noy Jopson - Running Coach. Dr. Joefrey Arbatin - Orthopedic Surgeon. 4:30 a.m. - 5:30 a.m. Starting a Commitment to an Active Lifestyle. 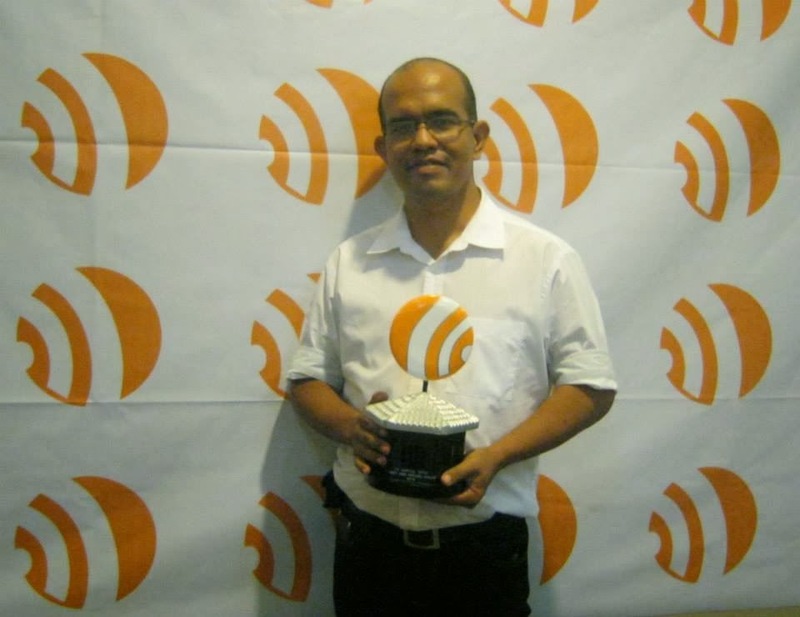 Dr. Raymund "Reel" Bontol – Internist Physician in Adult Pulmonology, Founding Member of Team Reborn. For more information you may email triabetics@gmail.com and look for Ms. Alisa Cruz, PDAT Secretariat.